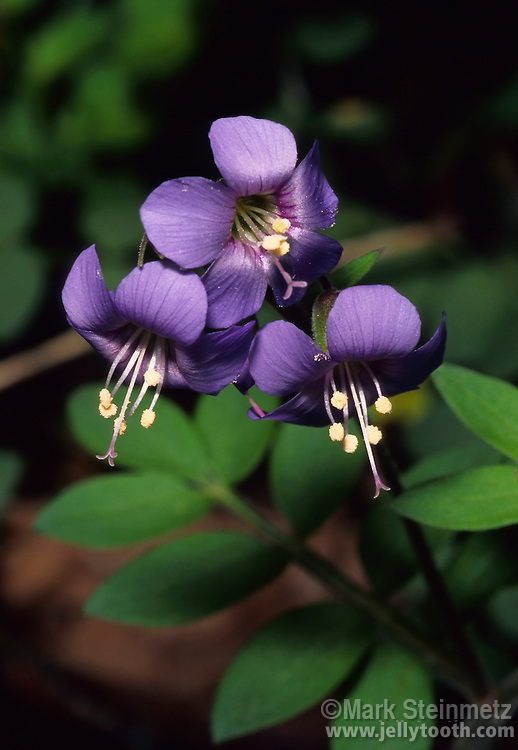 Jacob's Ladder or Greek Valerian (Polemonium reptans), a spring ephemeral woodland wildflower native to eastern North America. The long ladder-like compound leaves with rung-like leaflets give this plant it's common name Jacob's Ladder. Delaware County, Ohio, USA.